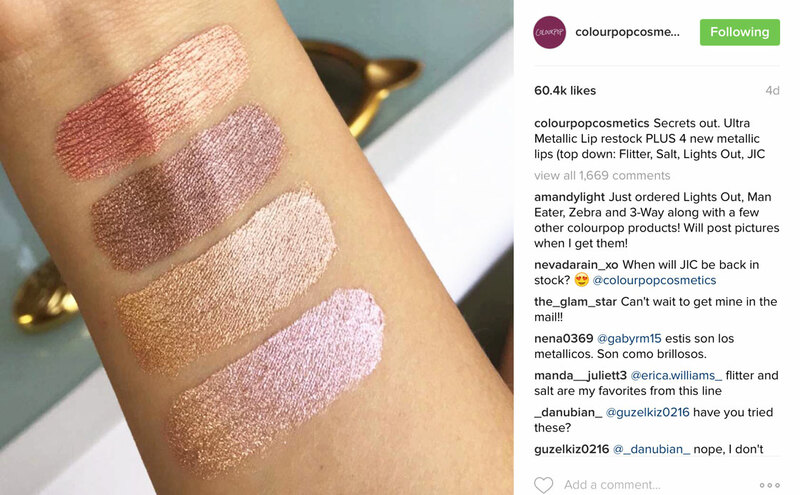 Beauty News & Gossip 14/08/16: Colourpop, Pat McGrath, Kat Von D & More! 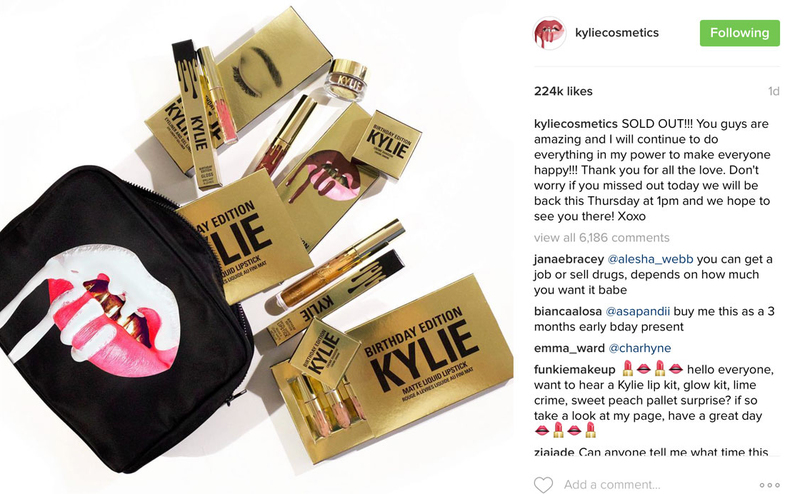 Kylie Jenner has recently launched her birthday collection of products, which come in rather fancy re-vamped gold packaging – and of course everything sold out in about 3 seconds. Personally, the sheer effort it takes to actually purchase something from Kylie Cosmetics really puts me off the brand, but I’d be interested to hear if any readers actually managed to pick anything up from the birthday collection, and if the products are any good? Next, I’ve just checked up on the the Too Faced x Nikkie Tutorials collaboration kit and it will be available at Sephora tomorrow! I must admit, I originally wasn’t overly excited about the palette in the set, but now I’ve seen the swatches I think it looks really pretty! 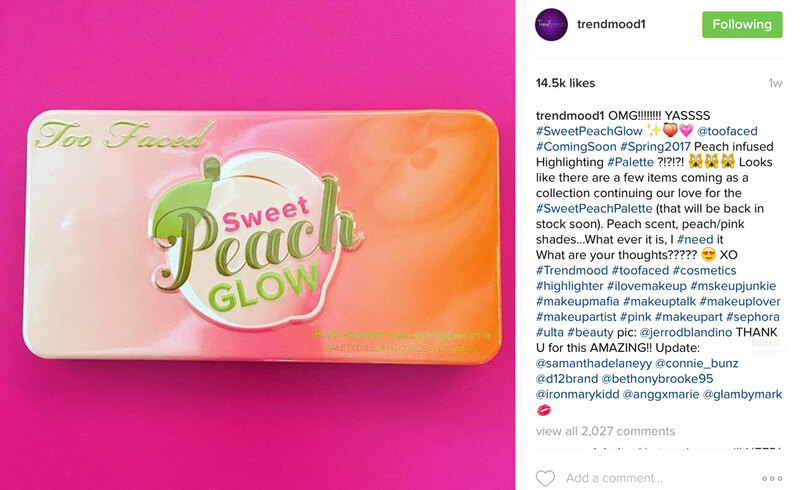 Too Faced are also launching a Sweet Peach Glow palette for Spring 2017 – I actually originally thought this was another eyeshadow palette in the Peach range, but nope, it’s a highlighter palette! I can’t wait to see what the shades will look like! I’m thinking warm peaches and pink tones – exciting! 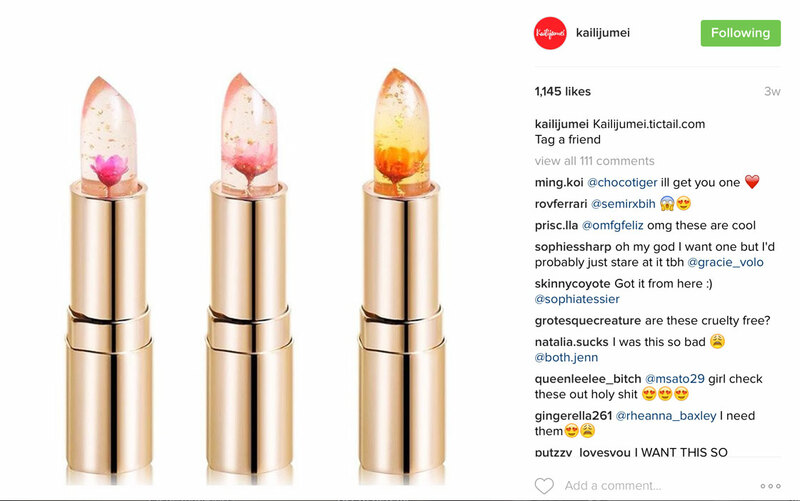 Beauty fans will know that Kailijumei lipsticks are one of the latest hot products right now – these amazingly pretty clear lipsticks change colour on application, and also have a flower actually embedded inside the lipstick bullet! I couldn’t resist nabbing a couple of these myself! My parcel is currently winging its way to me from Kuala Lumpur – so keep an eye out for them on the blog in (hopefully) the next few weeks. 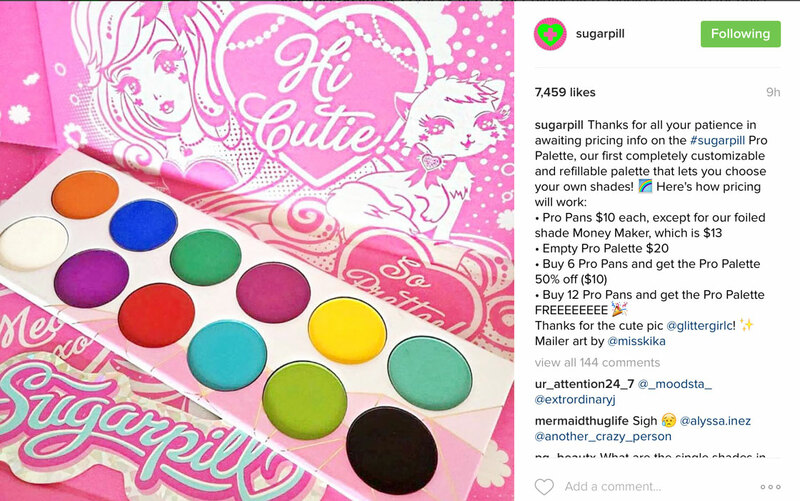 Sugarpill is one of those brands I often overlook, though I do have a couple of their quad eyeshadow palettes from a few years ago. If you haven’t tried them before, Sugarpill eyeshadows are actually fantastic, and have the most amazing pigmentation. Their Pro Palette is definitely worth checking out if you’re looking for bright eyeshadows with fantastic colour payoff. 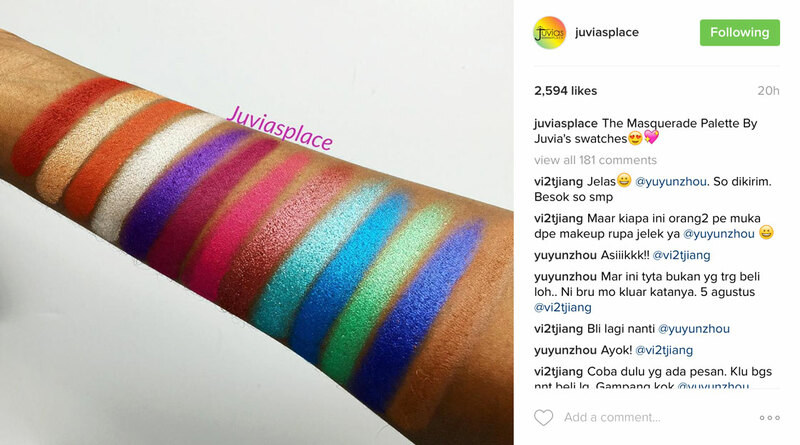 I also came across this Masquerade Palette by Juvias Place which just looks amazing! Definitely another one for the wish list. There are so many amazing ‘Instagram’ beauty brands popping up now – if you know of any more I should check out please do let me know! 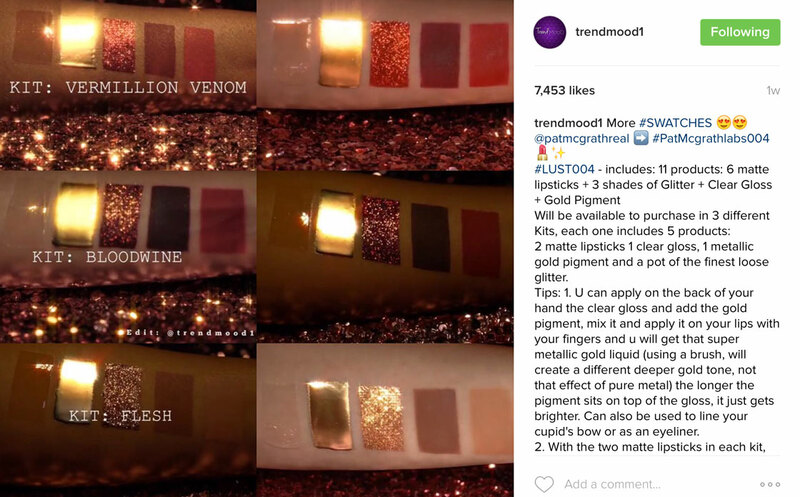 We also now have details on the new Pat McGrath products! She’s bringing out three new lip product kits – Vermillion Venom, Bloodwine and Flesh, with each comprising of five products: including two matte lipsticks, a clear gloss, a metallic pigment and a loose glitter. I have to say the colours in these kits look AMAZING – and I really want all of them! They’re $60 per kit and will be available on 30/08. 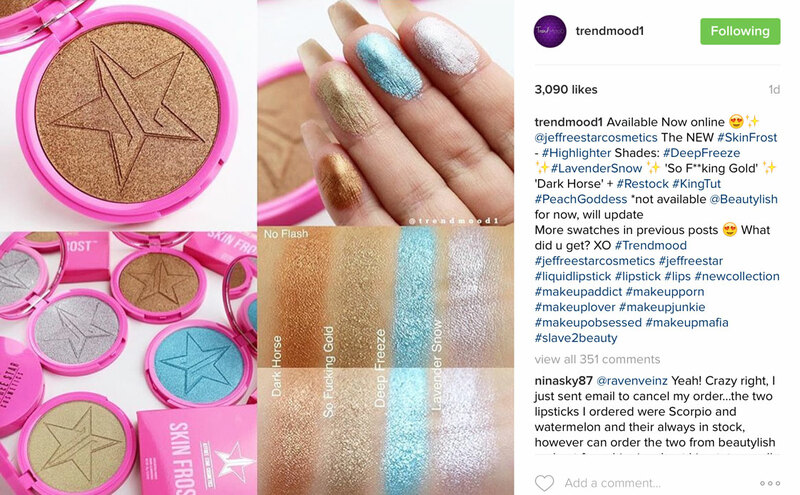 And how could I do a Beauty News & Gossip post without including Jeffree Star? 🙂 Well he has a few new skin frost highlight shades that I wanted to mention. I’m actually really liking the look of Lavender Snow! 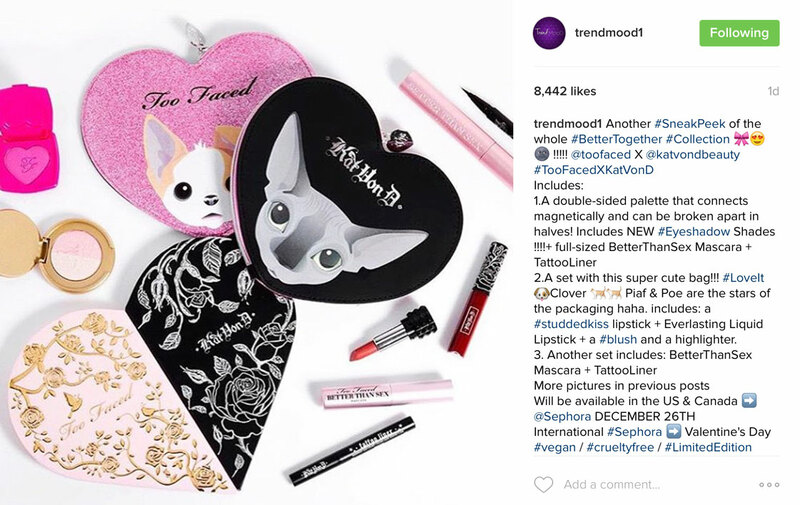 And lastly, Toofaced’s collaboration with Kat Von D is finally happening! This was hinted at a while ago, and I couldn’t wait to find out what they were up to! The Better Together collaboration includes an awesome looking double sided heart shaped palette, which can actually be split in two, as well as some other fab sounding products. 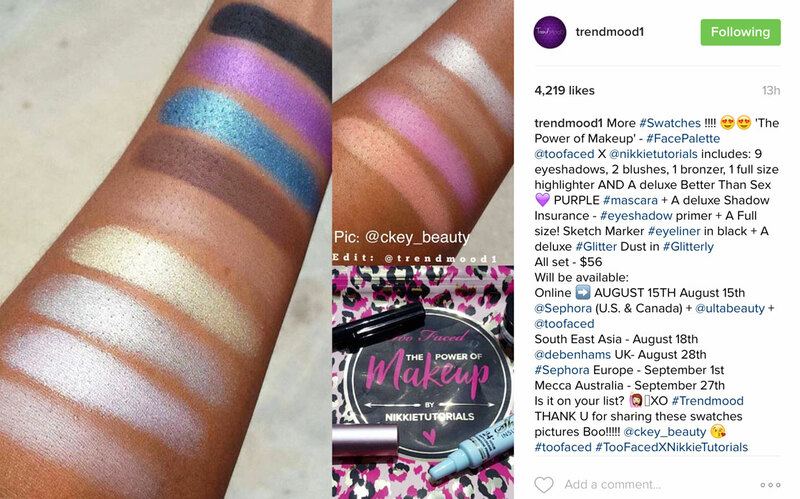 Make sure you check out Trendmood1 on Instagran for some more sneak peeks!